By all accounts, the current Tottenham team looks to be one of the best in the club's history. Yet, for all their hype, they remain trophyless (for now). Now the discussion of silverware may be a little bit of a touchy subject for those following Spurs these days, but things haven't always been so bad. Indeed, the fabled and magical domestic competition that is the FA Cup has yielded Spurs eight trophies over the years. For that reason, let's go back in time a little to enjoy some of the club's happiest days. Where else to start other than with one of the club's most iconic players scoring one of the club's most iconic goals. In 1991, Tottenham and ​Arsenal went to Wembley to meet in the competition's semi-final. Not only was a place in the FA Cup final up for grabs, it was also a north London derby - making it a game of pride as much as anything. It took Gascoigne just five minutes to leave his mark upon both the game and indeed the club's history. From around 35 yards out, the then 23-year-old blasted a rocket of a free-kick right into the top corner of the net. Arsenal were stunned and never properly recovered. Consequently, Spurs won the game 3-1 to take their place in the final. Just to give you an idea of how old both club and competition are, let's take a trip way back over a century ago to the team's first ever FA Cup trophy success. Spurs were founded in 1888, but it took them until 1901 for them to pick up their first major prize. After drawing the first game, a replay of the final was held at Crystal Palace. At the second attempt, Tottenham managed to defeat ​Sheffield United 3-1 thanks to goals from John Cameron, Tom Smith and Sandy Brown. The victory secured the first major hardware in the club's history and, to this day, it remains the only time a non-league team has won the competition since the formation of the Football League. 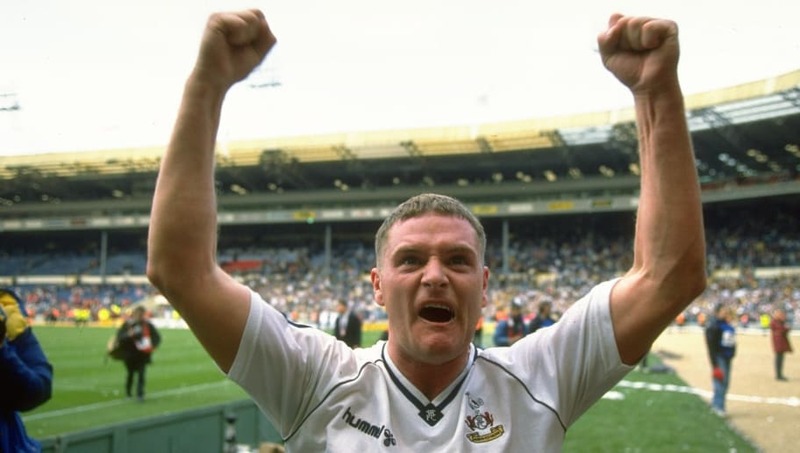 It seems that Gazza's free-kick in the semi-final was so powerful it not only knocked Arsenal out of the competition but also blasted Spurs onto victory in the ensuing final. In May of '91 the Lillywhites met ​Nottingham Forest at Wembley as they looked to claim the prize for the eighth time in their history. Spurs initially trailed to a Stuart Pearce goal but managed to draw things level through Paul Stewart. Then, deep into stoppage time, when it looked like the game would end level, a dramatic own goal from Des Walker gave Tottenham at 94th minute winner. You can imagine the scenes. It's also the last time Spurs won the competition. Few foreign players have come to Tottenham and​ made such a lasting impact as David Ginola. And in the FA Cup quarter final of 1999 the Frenchman cemented his legendary status at the club. Playing against Barnsley for a place in the semi-final, the winger picked up the ball wide out on the left flank from about forty yards out. There seemed to be no immediate danger, but that changed in a flash. In a matter of seconds, Ginola had jinked his way past three defenders to find himself inside the penalty area. From there he sharply cut past a fourth and final man, before curling a low shot past the keeper to score one of Tottenham's greatest ever goals. The finish was enough to see his side into the next round. This magical moment came in 1995 when Tottenham faced ​Southampton in a classic FA Cup fifth-round replay. Initially it looked like the game would be one to forget for Spurs as Southampton took a two-goal lead. But thanks to a remarkable comeback, the game will go down as one of the club's fonder FA Cup memories. Rosenthal got things going with a clever finish to halve the deficit before thundering in a wonderful equaliser just minutes later. It was then in extra time when he repeated the trick - though this time with an even better strike - as he completed his hat-trick and set Spurs on their way to a stunning 6-2 turnaround victory. The 1981 encounter between Tottenham and Manchester City also happened to be the 100th FA Cup final to be played. After the first game ended level, the replay produced a match worthy of the occasion. Tottenham took the lead through Ricky Villa, before a volley from Steve MacKenzie levelled things for City. Spurs then trailed after conceding a penalty only for Garth Crooks to equalise with 20 minutes remaining. With things even, Villa once more stepped forward in an attempt to win the final. In mesmerising fashion the Argentine dribbled his way back and forth through the City defence before squeezing the ball past Joe Corrigan as the City goalkeeper came out to make the save. It is undoubtedly remembered as one of the competition's finest ever cup final winning goals.